According to an ITAR-TASS report the launch of a Russian-Ukrainian conversion rocket Dnepr (RS-20) with Japanese satellites, should take place in early October from the Orenburg region, southern Urals. On Wednesday, August 13, when asked by ITAR-TASS whether the plans had not been affected by Japanese sanctions against Russia a source in the Russian Military Industrial Commission said “The launch is scheduled for the beginning of October. There have been no cancellations so far”. The rocket will orbit five Japanese satellites, including four micro ones. “The satellites will be brought to Russia on August 20,” the source said, adding that this year’s third Dnepr launch was scheduled for December. The Dnepr rocket conversion programme was initiated in the 1990s by the presidents of Russia and Ukraine to convert RS-20 Voyevoda ICBMs for civilian uses. 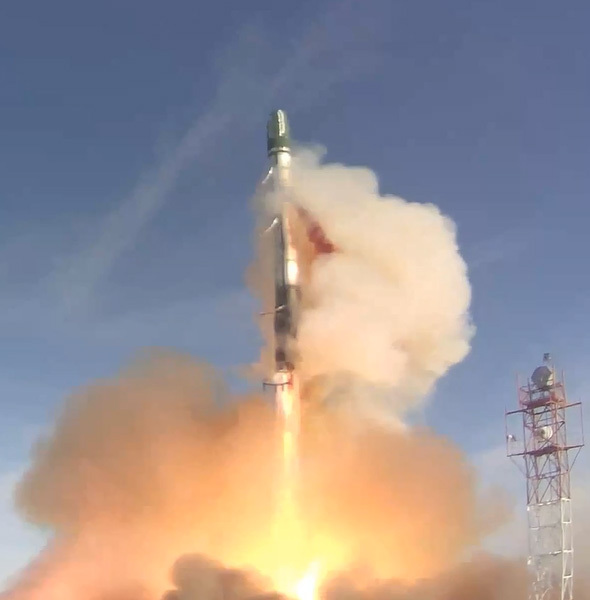 Dnepr rockets are launched from Baikonur, Kazakhstan, and the Yasny Launch Site of the Russian Strategic Rocket Forces in the Orenburg region under a joint project commenced by Russia, Ukraine and Kazakhstan. The Dnepr rocket is a three-stage liquid-engine vehicle. Its takeoff mass is 210 tones. The first two stages are the regular stages of the RS-20 rocket and have not been changed. The third stage has been worked on to improve its flight control system. The rocket is injected from an RS-20 silo by propellant gases. Its engine turns on after the whole vehicle has come out of the silo. The rocket is made by the Ukrainian company Yuzhmash in Dnepropetrovsk. A Dnepr carrying the 310 kg Spanish imaging minisatellite Deimos-2 along with 20 other satellites is expected to launch from Dombarovsky near Yasny in April/May. 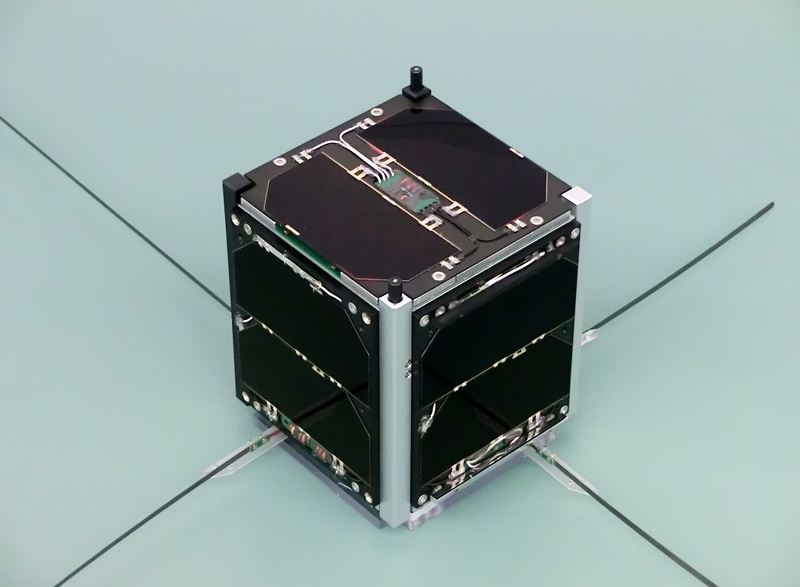 The satellites will be deployed in a 600 km orbit. This week has seen deployments from the ISS, a Minotaur-1 and a Dnepr of an estimated 34 satellites carrying amateur radio payloads along with a number of commercial and research satellites. After a launch the North American Aerospace Defence Command (NORAD) issue the Keplerian Two Line Element Set which can be used to determine the position and velocity of the associated satellite. CelesTrak make this information available and the file for launches in the past 30 days is available here. After a new launch this file will list the ID’s of the objects that NORAD have detected. 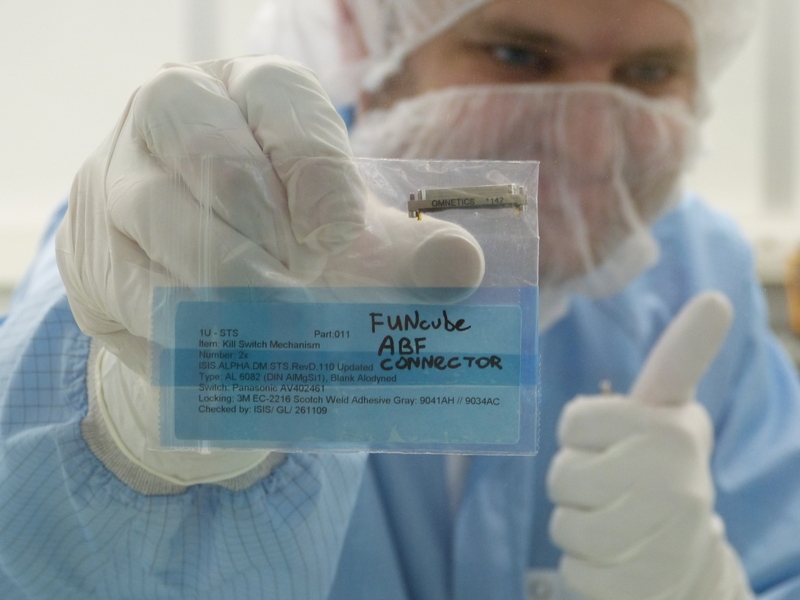 These objects can be parts of the rocket body as well as the satellites. 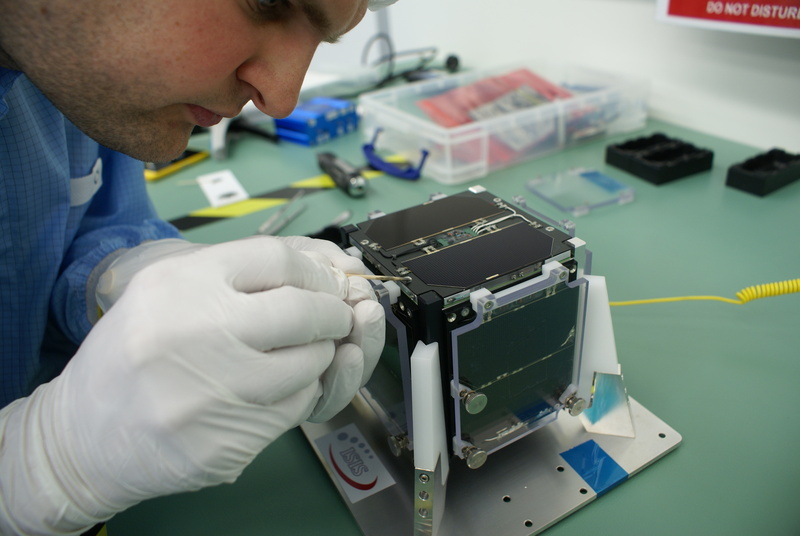 The challenge in the days after launch is to work out which object ID’s correspond to which satellites. 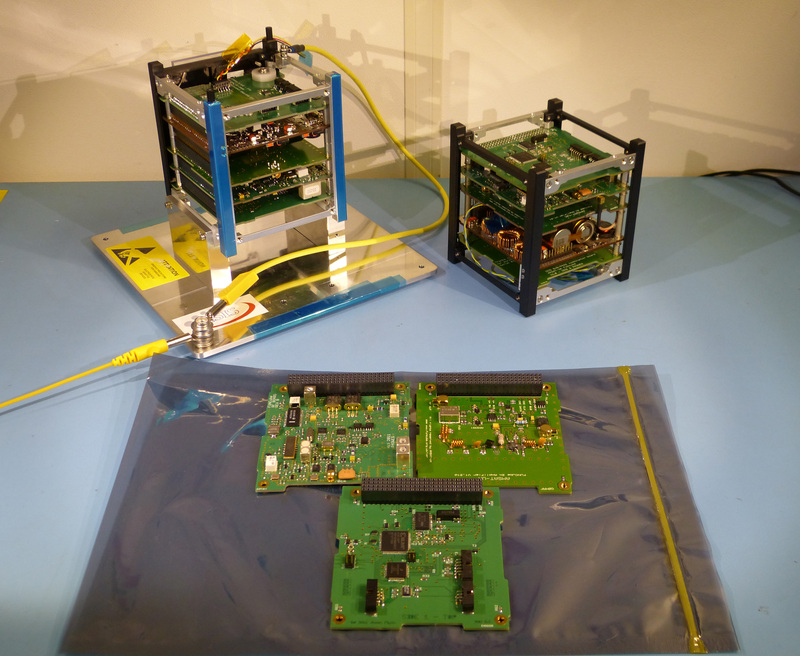 On the AMSAT Bulletin Board (AMSAT-BB) Nico Janssen PA0DLO has posted an overview of the presently known IDs for the satellites that were launched between November 19-21. 39412 1998-067DA Pico Dragon ? 39413 1998-067DB ArduSat 1 ? 39414 1998-067DC ArduSat X ? To be confirmed when the objects have more separation. Note that all designations may change later on. 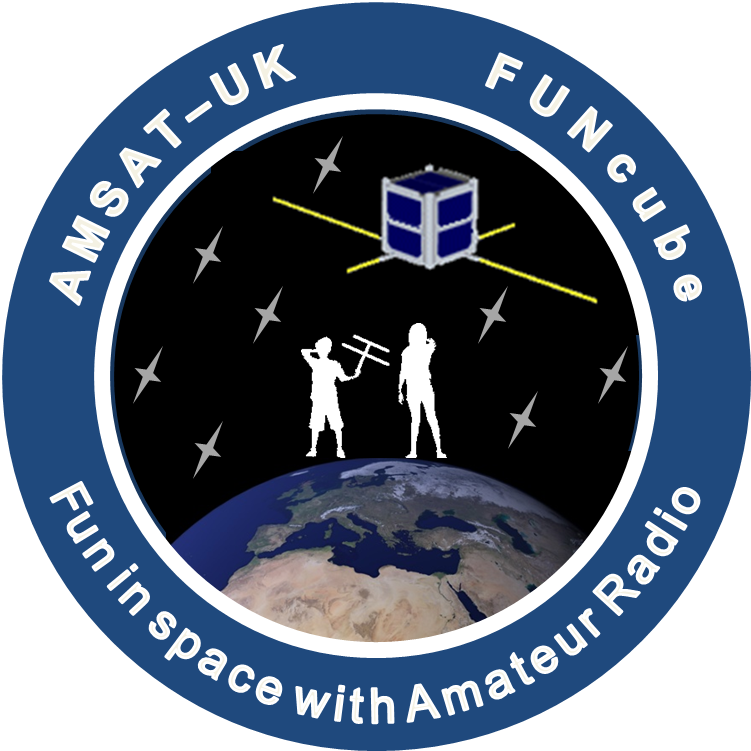 The amateur radio FUNcube-1 CubeSat has arrived in Russia and is now en-route to the Dombarovsky launch site near Yasny. 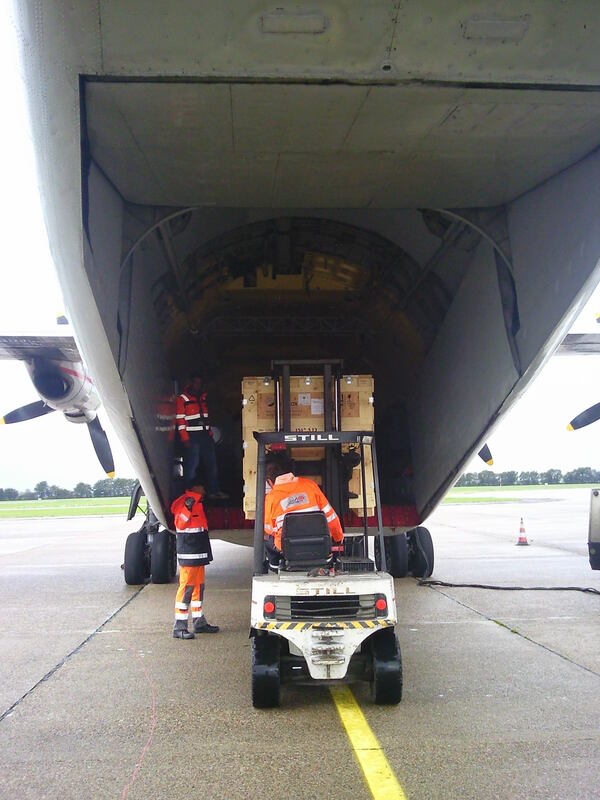 It was flown on a special flight from Rotterdam on Wednesday, October 16 and cleared Russian customs on Thursday,, October 17. Another flight took it to Orsk from where it had a road trip of several hours before arriving at the launch integration facility at Yasny. The only work that still needs to be completed before launch is a final battery charge up to 7.68 volts, this is the best storage voltage this type of battery, and the final ABF “Add Before Flight” plug needs to be installed and glued in place. This work will be done on site by Gerard Aalbers who has been a member of the FUNcube team from the beginning of the project. 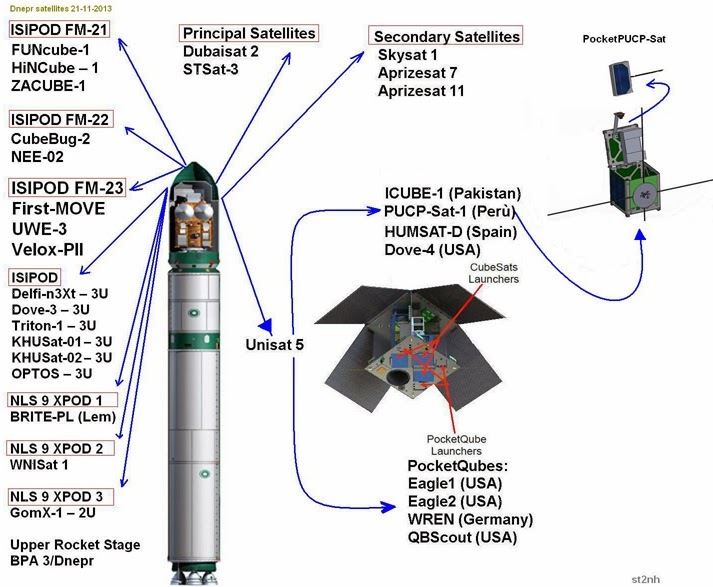 The Yasny Dnepr launch will carry more than ten spacecraft using the amateur satellite service and one of them, UniSat-5, will, itself, later deploy up to nine CubeSats and PocketQubes so there should be plenty of new signals to listen for after this launch.